Google has a long history of using underwater creatures for the codenames of upcoming products, and a new leak suggests the Google Pixel 4 family won't break that tradition. Spotted by 9To5Google, a developer posting refers to two unknown device codenames in some internal files, that are seemingly referring to the Google Pixel 4 and Pixel 4 XL. Both those official names are listed, and it's followed by what we expect to be the codenames of the two respective devices - "coral" and "flame". The coral codename is obviously aquatic. As for the flame one, there is a breed of fish called the Flame Angelfish, which is likely why the codename for the Pixel 4 XL is that. Whether the codename of flame will refer to a feature of the phone remains unclear. It's likely this is just a way of codenaming the device rather than pointing to any top-end features on the phone. So far, we've heard little about the Google Pixel 4 or Pixel 4 XL, but it's expected both of the phones will sport the latest Qualcomm Snapdragon 855 chipset alongside either 4GB or 6GB of RAM. 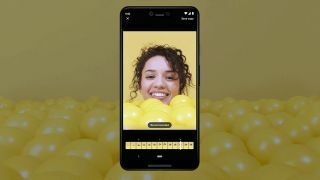 We'd also expect the company to put the latest version of Google software - by the time they launch that will be Android Q - on the phones, which we expect to see toward the end of this year. If you're waiting to buy a Pixel 4, you may be waiting until around October as that's when the company often announces its devices.